4 What is a Global Citizen Internship? Planet Pilgrims has a lot of experience in organising Global Citizen Internships in Cape Town for high school kids aged 15 – 18 years old. I specifically don’t call it simply volunteering because the programs we create, are a lot more than just volunteering in Cape Town. 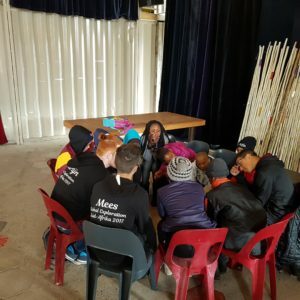 Our Global Citizen Internship in Cape Town for youth consists of a few pillars and volunteering is only one of them. Our main focus is on a meaningful exchange with peers where both local and international youth learn from each other and become better citizens of the world by making different choices. All programs are developed around the United Nations Sustainable Development Goals. 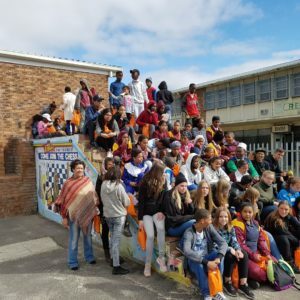 School that sign up for the programs want to be the change they want to see in the world and see an exchange opportunity like this in South Africa as a great way to offer more for their school kids. You can find here an overview of all the United Nations Sustainable Development Goals that are applied in our current programs. But let me first get a few preconceived ideas out of the way because I know a lot of visitors to Cape Town are looking for volunteer work in Africa. So in case you landed on this post for that reason, please continue reading. I just want to talk about this because this is often what first time volunteers are looking for. 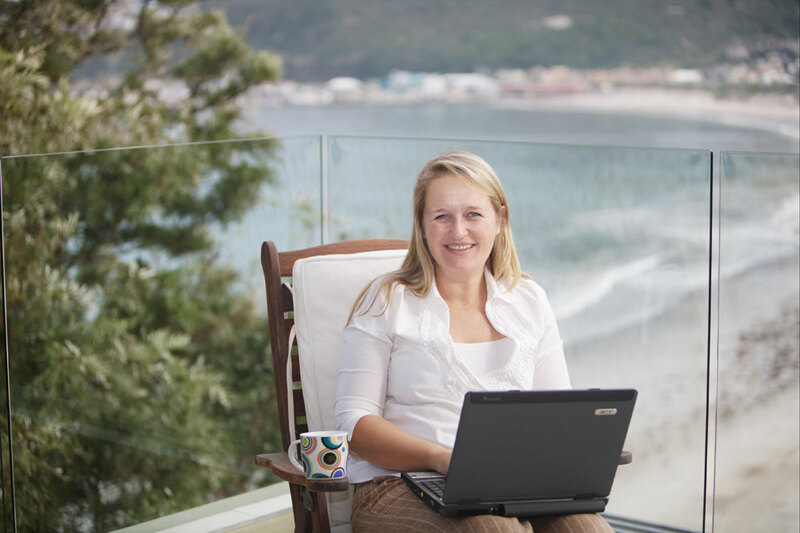 A lot of individual visitors approach us because they want to do volunteer work in Cape Town with children. 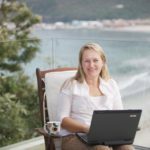 Let me explain a bit more why volunteering in Cape Town orphanages should not be your main focus of wanting to make a difference. This topic is very close to my heart. 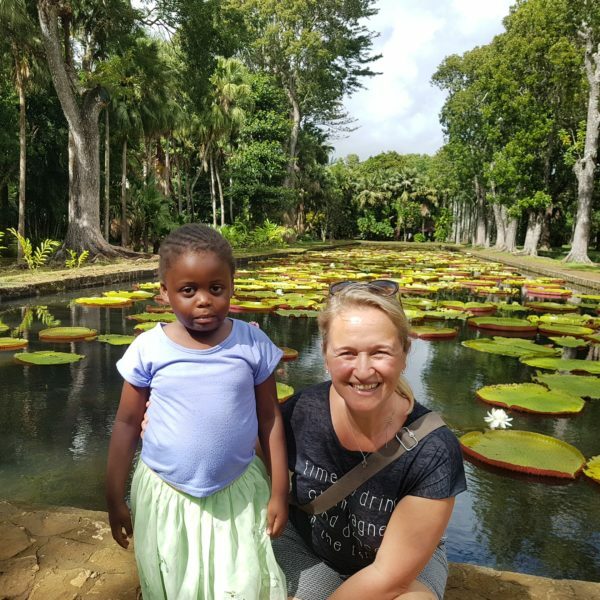 As you might know by now, I have adopted my daughter Rosie so I feel I have an obligation to speak about the crisis in South Africa, the crisis of close to 3.000.000 vulnerable children who don’t grow up in a loving household. A lot of these children live in children’s homes BUT calling them orphanages is not correct. Children in homes often come from broken families or their family is not a safe place for them to live because of abuse, alcoholism, drug abuse etc. but they’re not orphans in the literal sense. Too often people think of children’s homes and then imagine the movie ‘Annie’ which is obviously not a reality. You can imagine that the children in the homes only need the best care they can get. They often find it very hard to bond and to have volunteers come in and out, is not conducive to that. They need stability and professional social workers and councillors. Yes volunteers are often very much needed but only the ones with the right background education and who can stay for a good amount of time. You would also need a police clearance of your country of residence. In Cape Town the Red Cross Children’s Hospital accepts volunteers on a regular basis and also Nazareth house. So in case you’re sup for volunteering in a children’s home in Cape Town please keep the above in mind. PlanetPilgrims assists in the renovation of children’s homes in Cape Town. Groups will raise funds in their home countries and then ‘donate’ an extreme make-over of the home and DO the actual work while here. Since 2014 we’ve been welcoming school groups who did amazing work. Through our partners we have updated information in all the children’s homes around Cape Town and what their immediate needs are so that we can assist in the best possible ways. Another thing you have to know about children’s homes in South Africa is that they don’t receive enough government funding. They basically only get money for the running cost so that they can feed the children, send them to school and pay salaries but all the other costs have to come from fundraising. It is an ongoing struggle and it infuriates me when I hear that international organisations no longer want to help children’s homes in South Africa because of all the scams that are happening in other countries like Cambodia and Kenya. I’m not saying that it is not happening in South Africa and you always have to be aware of where you’re putting your money, efforts and hours. What is a Global Citizen Internship? 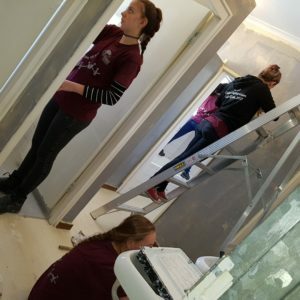 All our Global Citizen Internships in Cape Town consist of hands-on work, like renovating a home, cultural exchanges with peers, home stays with local families, safaris, visits to highlights like Table Mountain and Robben Island and much more.All programs are tailored to the needs and wishes of the school. The hands-on-work is always in cooperation with local community leaders to find out what is needed most and also to ensure sustainability when the group leaves again. There’s no point in going into a community with our western views of trying to save the world when there are perfectly fine local solutions who just need some resources. I visit the different projects and schools on a regular basis and it is easy for me to stay abreast of what’s happening. 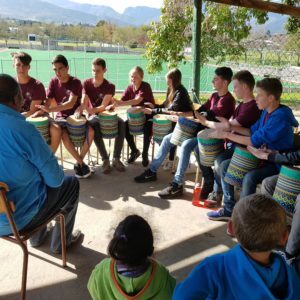 Meaningful cultural exchanges with peers involve playing games together, doing sports, dancing, creating a beautiful mural, sharing stories, singing, making music and of course a lot of laughing. PlanetPilgrims has worked with several universities from all over the globe. Each university has had a different enquiry and I can proudly say that we’ve managed to design and organise custom programs for each and everyone of them in close partnership with our strong local network in many different communities. For Cornell University MBA, it was a business program in both Johanensburg and Cape Town which we kicked off with a mini-conference to introduce ‘Doing Business on the African Continent’. For Brigham Young University we organised field trips to Johannesburg, Botswana and Zambia. This included safaris, a visit to Soweto and Nelson Mandela’s former house, a visit to the diamond mines, a sleep-out in the bush in Botswana and much more. For a sports faculty of a Dutch university we facilitated train-the-trainer programs for under-resourced schools in the Cape Town area where teachers were equipped with much needed coaching skills and kids learned to swim. In 2018 we organized the first Teacher Exchange where Dutch teachers were buddied up with South African teachers and they spend time together in the class room sharing the teaching. It was great learning experience for both Dutch as well as South African teachers. In a few weeks we will welcome the first group from a Graphic Design College from The Netherlands. They will be working with organizations and schools in township areas. They will be facilitating skills transfer workshops and help NGOs with their communication. NGOs often lack time and money to design brochures, update web site and their social media sharing so this is a great opportunity to get a few extra hands on board. Each enquiry gets my personal full attention because I’m super passionate about this kind of work. It is important, it is needed and it changes lives. We become better people being exposed to ‘the other’ and we will make different choices with regards to our own lives, work, studies and families.